Toby Keith will appear as a featured speaker at Country Radio Seminar 2017. Sponsored by BMI, Toby Keith: My Way at CRS 2017 will take place Friday, Feb. 24 from 3:00-4:00 p.m. CT. The discussion will explore Keith’s career, what inspired him to take control of his recorded and live music, form his own label and build a business empire on his terms. Keith will also talk about his strong relationship with men and women of the military, and his dedication to charitable initiatives. Leading the discussion will be RJ Curtis and Beverlee Branigan. The appearance marks Keith’s return to the seminar since being recognized with CRB’s Artist Humanitarian Award in 2007; the same year he was the headline artist on Country Radio Seminar’s Music City Jam. The familiar maxim of the triple threat – singer, songwriter, musician – doesn't begin to cover it for Toby Keith, one of the modern era's most complete self-directed hit makers. And Keith's most recent several months are a remarkably accurate representation of his entire career. He wrote, produced and released his latest single "A Few More Cowboys" to Billboard Hot Shot Debut status and the song is continuing to round up some amens and good-calls on its way up the charts. The release heralds new music following the successful and acclaimed 2015 album 35 mph Town. Toby continues to fill venues coast-to-coast on his current Interstates & Tailgates Tour presented by Ford F-Series. National television performances include kicking off the 2015 season of PBS' Soundstage, and paying tribute to Merle Haggard on the April, 2016 FOX telecast of the American Country Countdown Awards as well as to Glen Campbell and songwriter Jimmy Webb on the September, 2016 CBS telecast of ACM Honors. Even closer to his heart was last year's performance on TBS' Neighborhood Sessions and being recognized with the Atlantic Council's Distinguished Leadership Award for "remarkable musical contributions and support for US troops around the world." Capping it all is this year's Toby Keith & Friends Golf Classic which raised another $1.175 million to aid sick children and their families in Oklahoma. From the moment Toby's debut single "Should've Been A Cowboy" shot up the charts to become his first No. 1, the engine driving everything else has been the music. He writes it. He arranges and produces it. And he releases it on his own record label, Show Dog Nashville. At the core is his songwriting, as recognized in his 2015 induction into the Songwriters Hall Of Fame in New York City. The Nashville Songwriters Association International named him Songwriter/Artist of the Decade and he is a three-time BMI Country Songwriter/Artist of the Year. His songs have received more than 87 million BMI performances on commercial radio stations worldwide. Keith's albums have sold more than 40 million copies. His tours have drawn more than a million fans each year for more than a decade straight, with recent expansion into Europe and Australia. The awards are too numerous to count and include Artist of the Decade nods from Billboard and the American Country Awards, as well as the ACM's Career Achievement honor. A musician's musician, he was a last minute illness stand-in for the late Merle Haggard a few years back and responded to Merle's query about which of the legend's songs Keith knew and could cover with, "All of 'em." And there have been some unexpected highlights along the way as well, including country's most impactful viral event ever, "Red Solo Cup," the video for which has received more than 30 million views and was named ACM Video of the Year. Toby's most rewarding experiences, however, have come from giving back locally, nationally and abroad. His golf classics fund the Toby Keith Foundation and OK Kids Korral, a cost-free home for families of children dealing with critical illnesses. His 11 USO Tours to date have been recognized with the Spirit of the USO Award (2014). And when a tornado ravaged his hometown, Toby Keith was the face of the community and helped shoulder the cleanup with the 2013 OK Twister Relief Concert. Triple threat? How about singer, songwriter, musician, producer, entertainer, humanitarian, Oklahoman and patriot. For starters. Country Radio Seminar will be held Wednesday, February 22 through Friday, February 24 at the luxurious Omni Nashville, in the heart of downtown Nashville. Register to attend CRS 2017 today by visiting www.CountryRadioSeminar.com or by calling the CRS offices at 615-327-4487. Registration is now available at the “Early Bird” rate of $529. Register today, prior to the “early bird” registration rate deadline, and save $100. 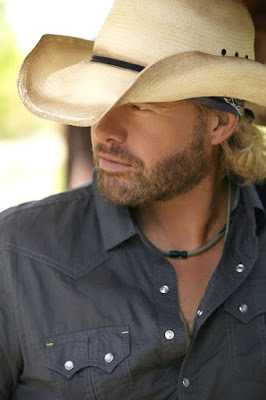 For more information about Toby Keith, visit his official website at www.tobykeith.com.